Midwest Mountaineering invites you to be part of our community where outdoor enthusiasts get together to learn about places to have outdoor adventures, to learn about the gear and apparel needed to have a great adventure and to associate with like minded people – often over a pint of a craft beer. 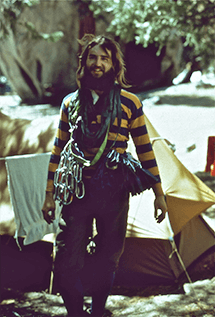 Yup, Midwest Mountaineering started in 1970 when Rod Johnson created climbing in seven days. Well, almost. Back then there were only a handful of rock climbers in our area and Rod was one of them, a very frustrated one, indeed. No one in the area had the gear or the expertise that climbers needed. Rod took it upon himself to change this sad reality and create a happy climbing community right here in the flatlands. Johnson hitch-hiked to California and came home with a backpack full of climbing gear. He sold it to his best friends at real cheap prices. In seven days he had sold it all! The Midwest now had happy climbers with new ways to get high. And it was good! Then Rod realized that he could sell his friends more than just climbing gear, and that he had a lot more than just seven days to spread the word – the faith – the spirit – the world of outdoor adventure. From his kitchen wall and the aisles at Minnesota Rovers meetings he sold gear for climbing and backpacking under the shingle of “The Johnson Company”. In 1971 Rod’s little business outgrew his kitchen and moved to 1408 Hennepin Ave. That’s where rent was cheap. A second floor space in otherwise empty store fronts became the home of the newly named Midwest Mountaineering. Wandering hobos found solace in the new first floor ‘tent’ room when the business outgrew the confines of the tiny second floor. Soon Rod added cross country skis (wooden ones of course) and whitewater kayaks. For a brief time bicycles were also crammed into the small store. 1976 saw an expansion of downtown Minneapolis toward the run down section of Hennepin Avenue where Midwest Mountaineering was hiding. ‘Urban Renewal’, they called it. Midwest Mountaineering was forced to move out.  Lo and behold, urban renewal was also happening on the West Bank, an even more run down counter-culture haven near the U of M. Here, instead of tearing everything down, the city wanted young entrepreneurs like Rod Johnson to come in and spruce places up. 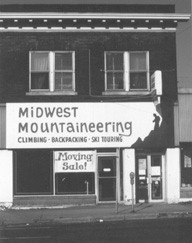 Midwest Mountaineering opened at 309 Cedar Ave in the first of what would later become five adjacent buildings. The ceiling leaked. The floor was partially dirt. A fire had ravaged a section. The outside was boarded up – covered with graffiti and posters announcing the latest folk or rock concerts at the nearby Riverside Cafe, Coffeehouse Extempore, Dania Hall and Labor Temple. Rod had his work cut out for him. With a motley crew of carpenters known as ‘Donkey Construction’ and a growing staff of adventurers the place became a vibrant and busy store front. U of M students flocked in to fuel the backpacking, climbing, X-C skiing craze of the late 70s. Midwest Mountaineering boomed. Nixed in favor of the new Thrifty Outfitters was the employees’ exceedingly brilliant idea of a Mountain High Cafe and Saloon. Too bad. It would have featured a sprinkler system that worked on a random basis and occasional blasts of mosquitoes from the air ducts. Ahh … a true outdoor-like dining experience right here in the city. Really! Instead, you now get tasteful and inexpensive goodies from the land of Thrift. Religious Experience Hot Sauces are the token tribute to the forgotten Mountain High. The employees were again pessimistic. But Rod was again persistent and “The Great Minnesota Canoe Event” was born. A fairgrounds building was filled with canoes, kayaks and other gear. Speakers such as Cliff Jacobsen (then author of a few books – now author of over 17 books about canoe camping) and adventurer, Verlen Kruger, (he paddled 28,000 miles in one trip) drew in the masses. Soon Midwest Mountaineering added a “Winterfest” Expo, sometimes at the St. Paul Civic Center, sometimes at Canterbury Downs. Finally both Expo events came home to Midwest Mountaineering. Now, big-top tents behind the store and U of M buildings a stone’s throw away host the “Outdoor Adventure Expo” in both April and November. Tucked away in the 1980’s time period was a brief stint of trying to operate a downtown St. Paul store. It was supposed to appeal to the masses by offering outdoor clothing ala Eddie Bauer and LL Bean and Fufugouchie … It didn’t work. Rod was even more committed to sticking with what Midwest Mountaineering did best: offering best possible advice, technical expertise and the best gear and clothing for outdoor adventurers. “Ask us, We’ve been there” and “Sharing Passion for the Outdoors” were the slogans and mission statement that worked for the ever growing Midwest Mountaineering. Today, Midwest Mountaineering maintains its course. A new slogan we use internally is ‘Offer customer service so good customers will tell their friends’. We hope we do. We hope you find this store, with its quirky history, its friendly staff, its best gear and clothing, and its old and funky ambience to be your favorite store.